1. 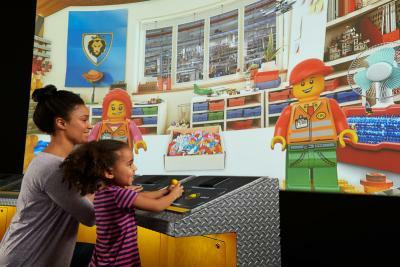 LEGOLAND® Discovery Center Columbus is open 365 days a year. Even on holidays, you can build and play to your heart’s desire. This is the perfect indoor play space in Columbus when rain or snow prevents playing outside! 2. 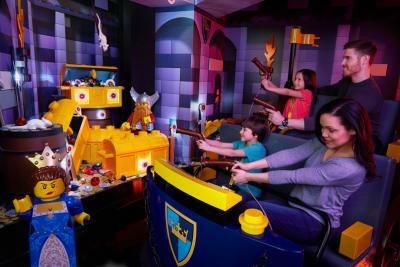 LEGOLAND® Discovery Center Columbus offers 2 to 3 hours of LEGO fun! 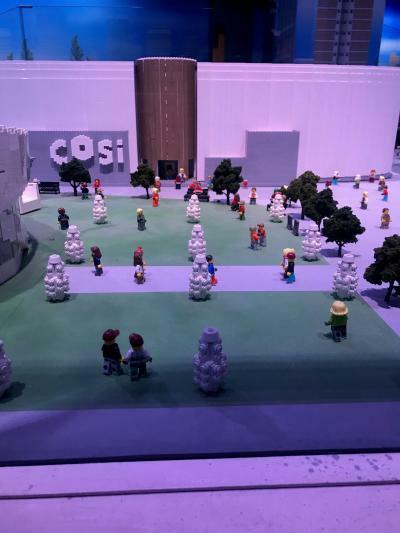 The is set up to guide you through each building block of fun with the help of Bertie and Bonnie – a brother and sister pair, who you will see throughout your experience. 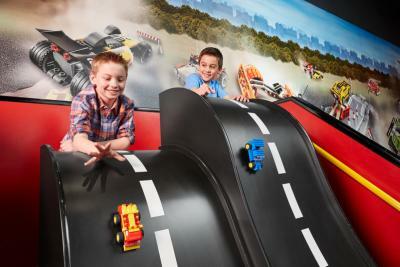 LEGOLAND® Discovery Center has two different rides, both with an interactive component to keep your kiddo entertained. 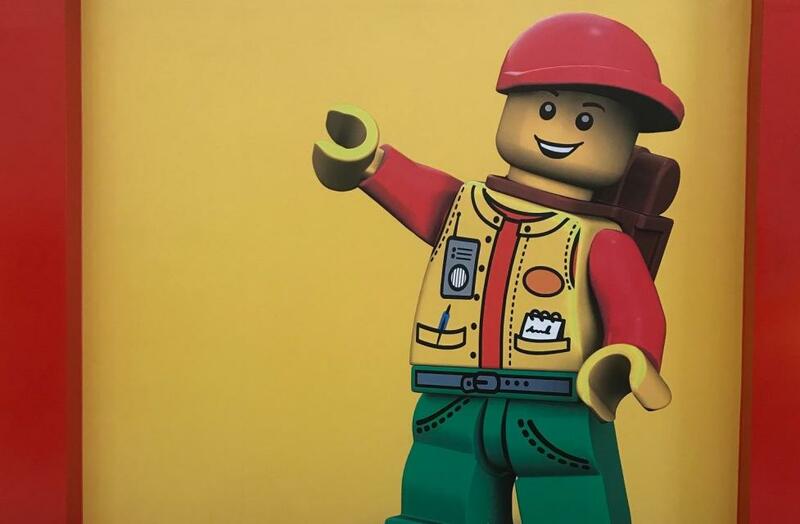 For all levels of LEGO builders, stop in to the Creative Workshop, where a master builder demonstrates how to construct a special project! For your younger LEGO lovers (ages 2-5), don’t miss the LEGO DUPLO area featuring larger bricks and softer floors for the little ones. More advanced LEGO builders shouldn’t miss the Build & Test area! Use more advanced bricks, wheels and axles to build a vehicle and then test it out on their test track. 3. 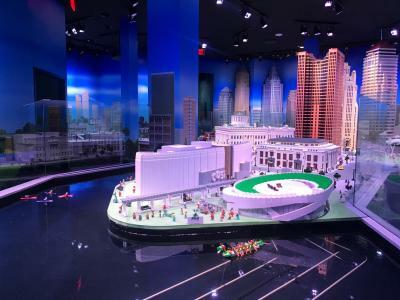 See a LEGO, mini-version of some of our favorite Ohio landmarks in MINILAND. Look for Columbus staples like the horseshoe and the Ohio Statehouse - even Dublin’s famous Field of Corn! While you can’t touch these special builds, you will find buttons and pulls around the room that make some of the pieces interactive! MINILAND is so well thought out, that you’ll find continuously moving pieces like cars, trucks and traffic lights throughout. Plus, MINILAND experiences both day and night every 10 minutes, with a firework show when nightfall comes – you won’t want to miss it. 4. For a mid-play snack, stop by the Café & Coffee shop, offering Starbucks Coffees and Teas and grab-and-go items. For something your little LEGO master can take home, grab them their lunch in a LEGO lunch box! You can fill each one with a sandwich, snack and drink to fill them up and fuel their building creativity before heading back to the fun. 5. Almost the whole center is parent-friendly! With the exception of the lLEGO City Play Area, a play space designed for only those 5 feet tall and under, parents are encouraged to play along, build and engage with their kids. 6. Before you leave, pick a show to enjoy in the 4D theater. 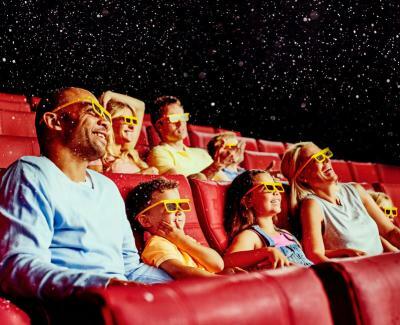 You’ll get 3D glasses to enjoy the visual aspect, with the fun addition of the 4th dimension elements like wind, rain or snow. You’ll find a schedule for each show posted outside the theater. 7. Don’t miss the gift shop on your way out, where you will find any LEGO set you could ever want – even some from some of your favorite movie franchises. Make a stop at the Pick a Brick wall on the way out to choose from an assortment of pieces to take home. 8. 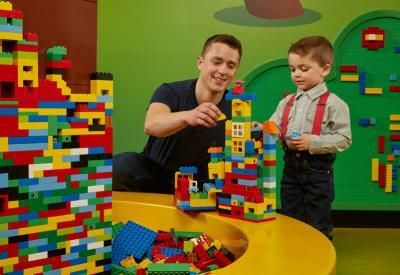 Want to host an event or birthday party at LEGOLAND®Discovery Center? Give them a call! Breakout rooms allow the center to host school groups, small meetings or birthday parties in a private space, while still having ease of access to all the fun. Ticket prices start at $20 if purchased online and are specific to your entry date and time. Make sure to buy at least 24 hours early to lock in that $20 price. To make sure you don’t miss any of the action, add on an activity pad! Your activity pad makes sure you hit all the can’t miss stops throughout and allows your kiddo to stamp their booklet when they have visited each one. Plus, it’s a perfect souvenir to take home, with additional games and activities in it. 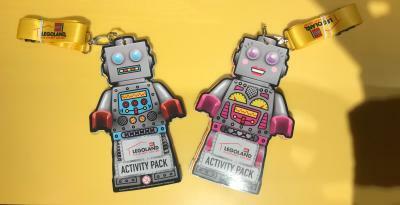 For more about LEGOLAND® Discovery Center Columbus, including location and hours, click here.